How to unclog an RV toilet. 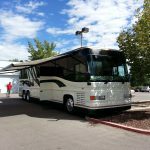 Here are the top suggestions from RVers who have been there, done that and solved the problem. #1 Own a flexible toilet tank wand. Both Amazon.com and Camping World sell a flexible tank wand that reaches into the depths of the pipe. One highly recommended tool is the Valterra Master Blaster Tank Wand. This wand includes a power nozzle which connects to your faucet with a flexible hose. Insert the wand into the toilet bowl and down toward the tank for a high pressure spray that will break up the clog. #2 Another popular option is to open the toilet valve and pour several pots of boiling water down the toilet and into the tank. Let the water sit over night and soak. You may want to drive around after a few hours and mix it all in. Many people swear this is how to unclog an RV toilet. #3 There are several septic safe de-clogging chemicals available on the market today. Thetford tissue digester eats tissue clogs in your tank and within your line. You can use almost any chemical on the market as long as it is septic safe. The best way to apply the chemical to the tank is to fill the toilet half full with water. Add the chemicals and let it sit in the toilet. Flush the toilet after a few hours. Let it sit in the tank. Drive around to mix it up. 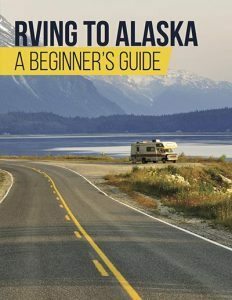 #4 Finally, many avid RVers swear by the ice cube method. How to unclog an RV toilet with the ice cube method: Fill the toilet basin to 1/3 full of water. Add ice and fill the rest of the toilet. Flush the ice down the toilet and drive around. Keep flushing with lots of water. Presto! Instant fix. Which method is the best for your situation? Only you can tell. Don’t be afraid to try a few, if needed. If you’d like to learn more about how to unclog an RV toilet visit the RV forums. This topic is a common thread. Now that we know how to unclog an RV toilet, let’s discover ways to avoid the problem. Use the right toilet paper – Toilet paper is KEY in the RV world. 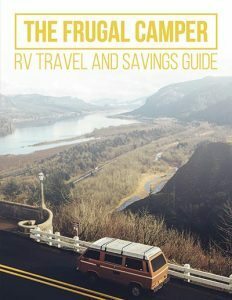 No, you don’t have to buy the expensive, RV only paper sold in high end camping stores. You do, however, need a septic safe tissue that breaks down fast. The best way to pick toilet paper is to buy 1 or 2 ply, septic safe and test it in your kitchen before using it in the toilet. Flush more often– Water is the RV toilet’s best friend. Flush often. Some people suggest flushing twice for every use. You can also add water through your toilet into your tank to break up potential clogs before they happen. Both the ice cube and the boiling water methods can employ at any time. An ounce of prevention right? Use less paper more water – Cut back on your volume of toilet paper. This is especially true for ladies. Use half the amount of tissue you use in a stick and brick situation. Add double the water expected to the toilet tank. More water and less paper will keep you from having to unclog your toilet. Drop Ins – There are a variety of drops in chemicals that work to your tanks advantage. Consider a tissue digester, a probe cleaner or blue max drop in pockets to keep your tank smelling fresh and flushing with ease. Many campers swear by the Flush King add in. So there you have it. 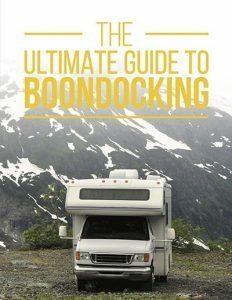 This post taught you how to unclog an RV toilet and better yet, how to avoid the problem in the first place. Now it’s up to you. Take action and keep your tank clean, flushed and managed. Come summer time you’ll be glad you did!